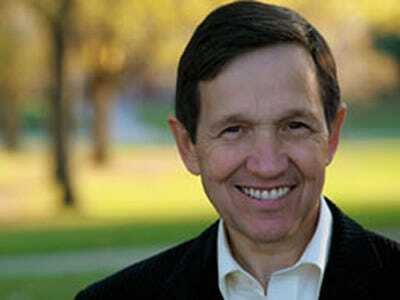 Is Dennis Kucinich One Day Away From Officially "Naderizing" Himself? This weekend we noted how left-wing hero Dennis Kucinich could prove to be the deciding Congressman against healthcare. Because Obamacare doesn’t go far enough — he wants a full-on nationalized system — he’s announced his opposition to it.But there’s been a lingering suspicion that the the former boy mayor of Cleveland could come around. Well, we’ll find out tomorrow. He’s scheduled a 10:00 AM announcement, and all eyes will be watching. If he says he’s a “yes” thatn that will be a major boost for Obama. But if he stands on his beliefs and kills the damn thing, then he’ll have officially Naderized himself with the left. Stay tuned!